Crowd favorite, "Iceland" Annie Thorrisdottir, went head to head with Kristan Clever for the entire weekend of Games competition. In the Pyramid Double Helen event they performed their swings face to face and finished minutes apart. 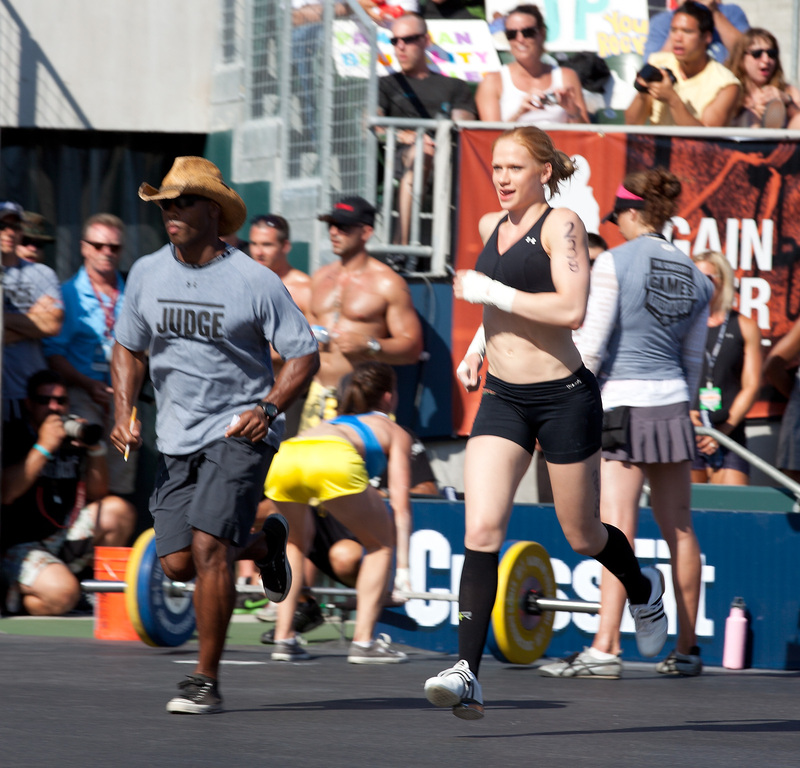 This trend continued all the way through the final event with both women trading the lead in all 3 parts. 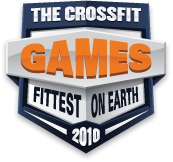 Event 3 tasked the athletes with heavy deadlifts, pistols and double unders. Clever and Annie put on a clinic for the other competitors. In keeping with the trend of the weekend, they gave the crowd what they came for - a battle that went to the buzzer. Annie came out on top with the best score overall for the event. Sevan Matossian interviewed Annie briefly about the event and how her view of the competition has changed in the past year. Kristen was highlighted in The Calm After Th Storm 2 part series in the week after the games. Anyone know why we're getting HTTP 403 errors when trying to view athlete proifles? 11 August 2010 / 5:02 a.m. I love watching this girl so inspiring. I want to be more like her. 11 August 2010 / 5:40 a.m.
Not only are you a role model for my wife but also for my two daughters and the best one I could possible choose for them! Thank you for being like you are! We already look forward to watching you next year. 11 August 2010 / 11:13 a.m.
Kristan was lumped with two other athletes (who are great, no doubt about it!) and not featured in a solo piece. That is the question here. 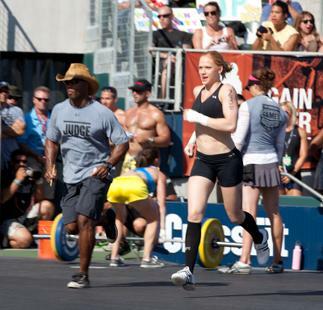 Let's embrace ALL Crossfitters, not just the ones we think look the part. 12 August 2010 / 11:17 a.m.